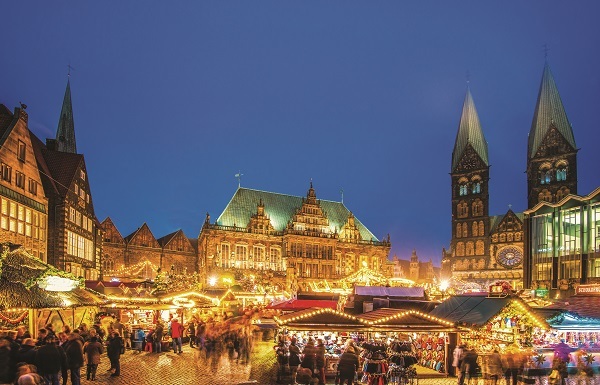 Christine Caldwell, Senior Travel Consultant at our Dorchester travel agents, got the chance to experience Saga Cruises for the first time on a trip to some of the German Christmas markets. Here’s why her preconceptions of the brand were completely shattered. 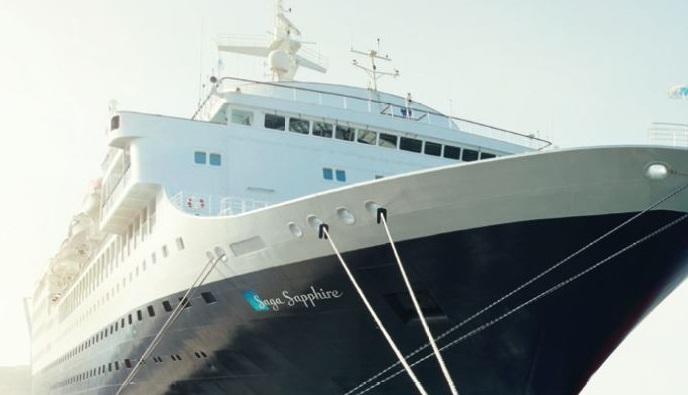 The Saga Sapphire is a small ship carrying 720 passengers. After boarding in Southampton, we were greeted on board and escorted to our cabins. As the cruise was full, the majority of our group were allocated cabins that had not been sold to clients but reserved for onboard speakers etc. They were the same as passenger cabins but had not been renovated. My single cabin was very spacious, with a full-sized double bed and the biggest bathroom I have ever experienced on a cruise ship, complete with large bottles of excellent toiletries. My bathroom had a large walk-in shower but some passenger cabins have a shower over the bath instead. In the bedroom, there was a desk and comfortable easy chair and a thermos of cold water was provided along with a fruit bowl. I was on deck four and had two large portholes. The room was light and airy and bathrobes were provided as standard in all cabins. Saga also offers free Wi-Fi as standard. The cabin steward was very attentive and had worked for the company for 8 years. The cruise included full board and drinks with lunch and dinner. Sukina and Zyel from Saga, who were escorting us, paid for pre-dinner drinks (and some post-dinner). One dinner was taken in East to West, the speciality Asian fusion restaurant. This comes at no extra charge for guests but, due to its size, bookings must be made. We were booked on the bus trips to Bremen, Amsterdam and Bruges for the markets and they were all very well organised. Wi-Fi on board is complimentary and gratuities are also included. The Sailaway party and Captains Cocktail party included unlimited drinks and we were lucky enough to dine with the Captain. Everyone in our group was given a free spa treatment (anything from the spa menu) and I was offered free parking at Southampton. In addition, you will also get to benefit from Saga Cruises’ free door-to-door transportation on all cruises. It was lovely visiting the various Christmas markets, and Bremen was the highlight. A traditional German Christmas Market, it had such a wide variety of stalls and entertainment, with the locals offering us such a warm welcome to their city. On board the ship, the entertainment was excellent. It was a rock and roll cruise and ‘Jerry and the Jivers’ did themselves proud. The dance floor was packed! Nothing really. The only minor hiccups were not any fault of the ship. The weather was not good! I would recommend both this trip and Saga Cruises in general. Although the age range is 60+, most of the passengers were very young at heart and joined in everything. The service was impeccable from the captain down. Saga includes as standard free door-to-door transport, free Wi-Fi, and free wine (or soft drinks) at lunch and dinner. Plus, all 2018 sailings on board Saga Sapphire are all-inclusive. During embarkation, everyone is escorted to their cabin and all single ladies are escorted to their dining table, which was much appreciated by those I spoke to. My expectations were definitely exceeded. Even though I am old enough to be a Saga customer, I had preconceptions about the experience. I can truly say that not all customers are young but most are very young at heart. If you would like to take a cruise holiday in 2018 or beyond, our cruise experts are always happy to share their recommendations. Drop by one of our travel agents in East Anglia or any of our stores on the south coast.